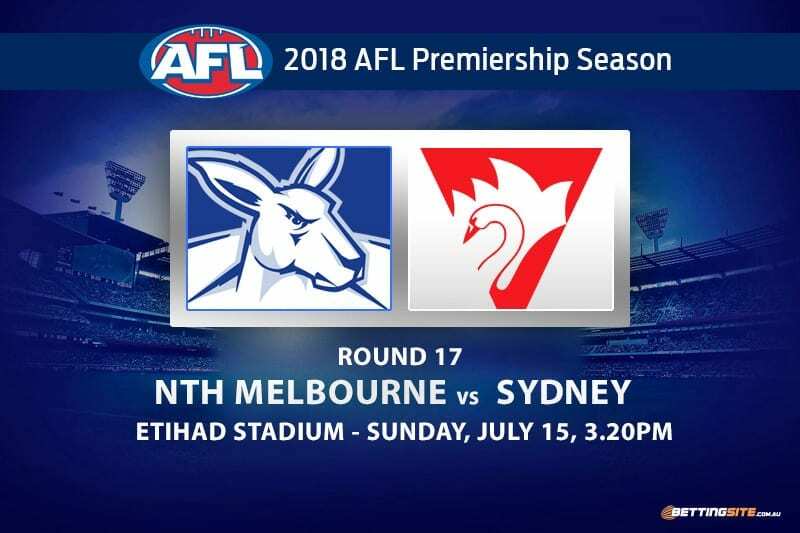 The North Melbourne Kangaroos will host the Sydney Swans under the roof of Etihad Stadium this Sunday in a match with huge finals repercussions. 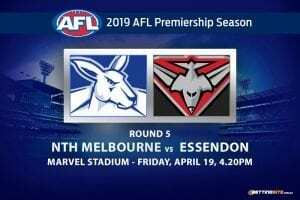 Both sides sit in the top half of the ladder and are equally desperate to make an impact in September. North Melbourne is still playing excellent footy for a side many picked as a bottom-four team at the start of the year, sitting at 9-6 after 15 matches and only outside the top eight on percentage. Sydney is the only side in the competition that currently has 10 wins, which sees John Longmire’s Swans sitting in fifth position on the ladder. If they want to have a real impact in finals, they will need to win most of their matches in the remaining seven rounds. 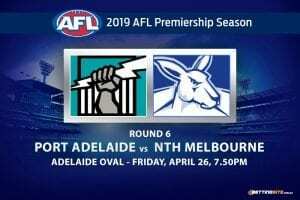 The Swans have won most of the recent battles between these two sides, but the Kangaroos should take more confidence into the match after the round 7 bout this season, away from home. Mason Wood played a key role in the upset victory back in round seven — as luck would have it he misses this match due to a hamstring injury, a big blow for the Roos. Here are the tips we have picked for the Sunday blockbuster. 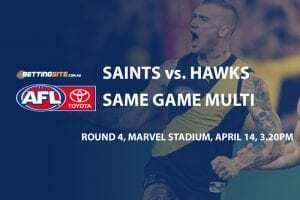 In this market the choice came down to the two big name superstars in Ben Brown and Lance Franklin, as you can see, we think that it will be Ben Brown on this occasion. The midfield strength of the Roos is phenomenal right now, Shaun Higgins is playing career-best footbal, which has put him in sneaky Brownlow contention. The midfielders will provide better delivery to Brown, giving him more opportunities to kick goals. This guy has taken the next step in his football career and become one of the best ball winners in the competition. With his run and carry across half back, the Swans try their best to get the ball in Lloyd’s hands as often as possible. 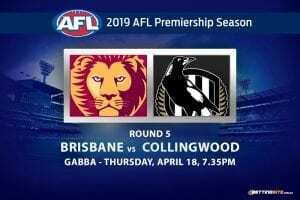 Watch out in the last few minutes of each quarter when Jake will get plenty of cheeky marks and kicks to close out the term — they all add up when the final siren blows. Sydney do a brilliant job at negating their opposing forwards impact each week, as you would expect from one of the most experienced backlines in the league. 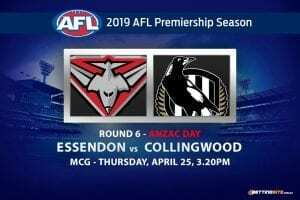 Though this match is being played at Etihad, which will most likely have a closed roof, the low scoring affair will still unfold, not because of the skills, but because of the focus of defence from both coaches. As we mentioned previously, we think this will be a close and low-scoring match where both teams fall into this bracket of scoring. The Swans have played a one tall forward line this year, mainly due to injuries to certain key position players such as Sam Reid, unlike the Tigers, they haven’t had the same ballistic scoring, whether it’s the personal or Buddy-centric mindset, they just don’t score highly on the average day. Strap yourself in if you support either side as we think it will be a nail-biter. A low-scoring clash suits these teams, which have played in so many close matches so far in 2018. They match up very evenly and the line for the match is only two and a half points — everything is alluding to a close on this Sunday. 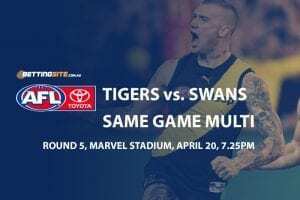 The three Swans injuries toexperienced players will hurt them. Hannebery, Jack and McVeigh are all quality players. With all three out for this match, we see the Kangaroos once again having the last laugh.